Nationwide servicing for non-performing real estate loans. 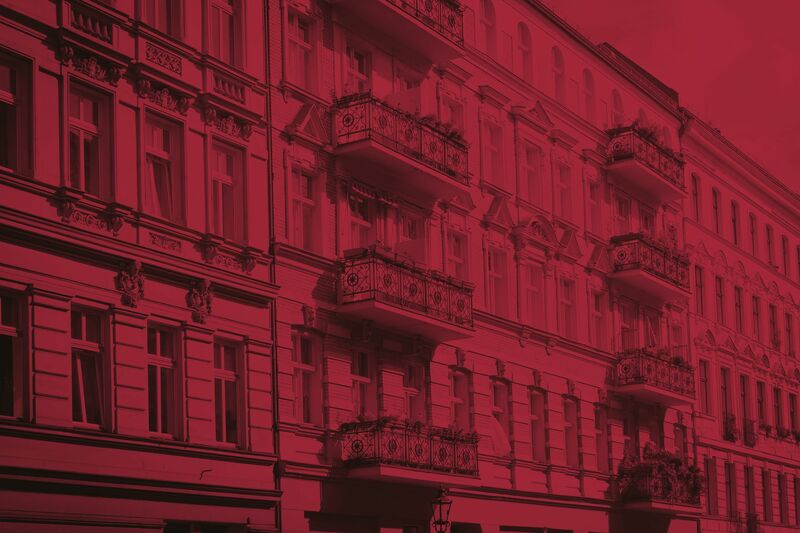 With 6 locations in Germany and over 10 years of experience, we are one of the leading providers for banks and investors in the area of non-performing real estate loans. This enables AssetGate to offer you comprehensive market expertise and the resulting above-average net reflows. Our services cover the entire process chain from regional property marketing to central portfolio servicing from a single source. Talk to our real estate and loan professionals about your portfolio and choose from a variety of customised service modules. We would be happy to support you in your residential or commercial exposures – from the individual property to the portfolio with more than 1,000 properties. Our experts appraise your residential and commercial real estate collateral on-site and identify value-enhancing measures. Whether it is an individual property or a portfolio with more than 1,000 properties – you can rely on our regional expertise. With 6 locations across the country, we are your partner in the divestment of real estate collateral and offer you all the advantages of our in-house nationwide presence. We are convinced that the key to the successful workout is local. And this is right where our specialists increase the utilisation proceeds and with it the value of your portfolio. We sell both residential properties and CRE (commercial real estate) resulting from restructuring measures or company insolvencies and have the necessary broker licences. With terminvertreter.de we take over hearing representation in the context of a foreclosure in all German district courts – Fast, economical and in conformity with the Legal Services Act and the provisions of the Code of Civil Procedure. We seek consensus-based cooperation with your debtor at an early stage for on-site debtor interviews. The identification of alternative workout strategies as well as out-of-court divestment of real estate collateral by professional employees requires experience and negotiation skill. Through a structured analysis of the procedure and cooperative negotiations, we avoid disputes and successfully represent your interests. The goal is to reduce legal costs and shorten the duration of proceedings, thereby increasing your net reflow. We offer you special servicing services for portfolios of non-performing loans secured by mortgage. Our nationwide presence is thus supplemented by a central debt collection management and determined on the basis of a uniform IT platform as well as the officially prescribed debt collection licence. This single-source servicing increases the yield potentials of your portfolio by avoiding interface losses as well as reputation risks through the use of external, regional real estate brokers. We specialise in the appraisal and ongoing screening of NPL (non-performing loan) and REO (real-estate owned) portfolios and support investors or sellers throughout the process – from due diligence to the sale of the real estate loan portfolio. With our know-how and extensive historical data, you minimise your risks and reduce the time expenditure even with complex portfolio structures. We have our ear tuned to the market and are happy to point out appropriate investment or sales opportunities for investors and sellers. For protection from losses in special situations in foreclosure proceedings, we offer creditors legally secure opportunities for a rescue acquisition. Under such circumstances it is not necessary for a creditor to also be a new owner of the property, as we organise the acquisition at the forced sale using the appropriate purchasing companies. AssetGate manages and markets all real estate across Germany on a uniform IT platform from all 6 locations. Through the nationwide presence and access to our own prospective client and investor databases, we optimise your utilisation proceeds. Interface losses and reputation risks due to hiring regional real estate brokers are thus consciously avoided. We look forward to your message as a creditor or real estate owner. These data will be stored and will only be used and processed to answer and solve your enquiry and to provide you with further services and information about our products.